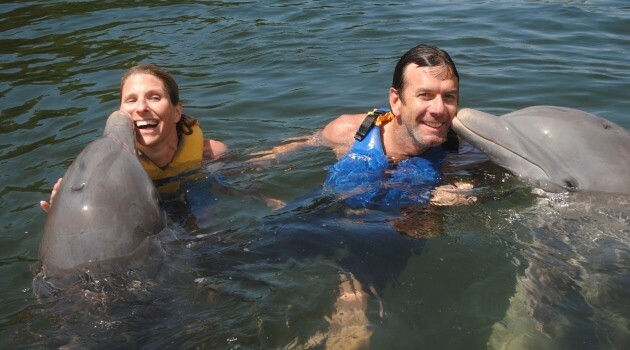 Swimming with dolphins is a unique experience, and endures a lifetime in the memory of those who have enjoyed it. 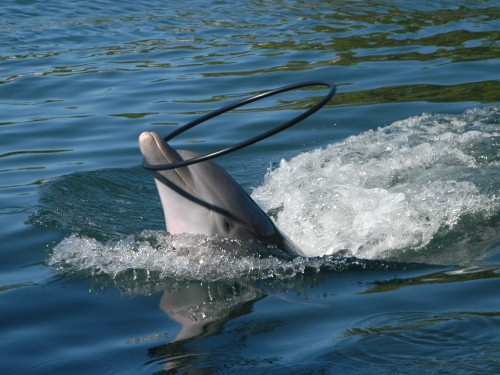 These charismatic and beautiful animals have a great intelligence and enjoy playing and interacting with humans. 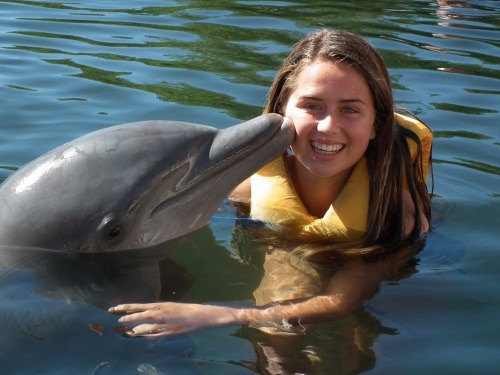 Dolphins are admired and loved by people of all ages and there are even therapies applied to humans that use swimming with dolphins as a way to treat various medical disorders, due to the positive feelings and energy that these loving and friendly mammals spread. 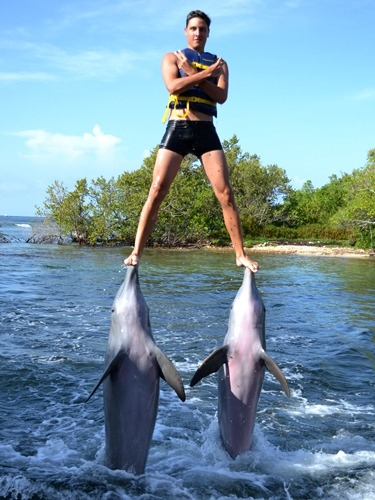 This fascinating experience can be enjoyed by the whole family up at the Dolphinarium in Cienfuegos, Cuba, which has received the certificate of excellence in TripAdvisor and countless of positive feedbacks because of the quality of its service and the attractive of the experience. 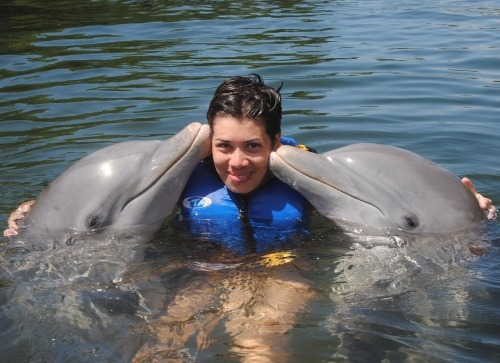 Swimming with dolphins in Cienfuegos is a safe entertainment as it is done with carefully trained dolphins prepared for this activity under the supervision of their coaches. 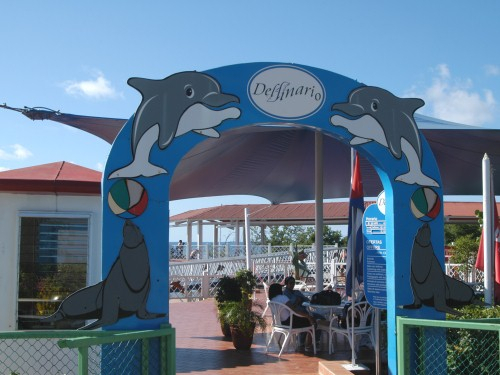 The dolphinarium is located about 17 km from the center of the city of Cienfuegos, leaving Rancho Luna beach, it will be easy to find it as there are signs indicating directions. 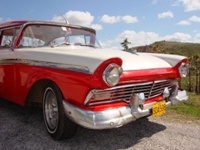 Address:Road to Pasacaballo Km. 17. 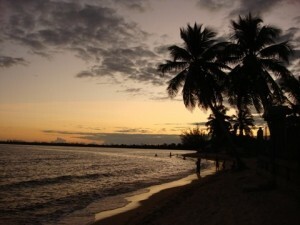 Rancho Luna, Cienfuegos. 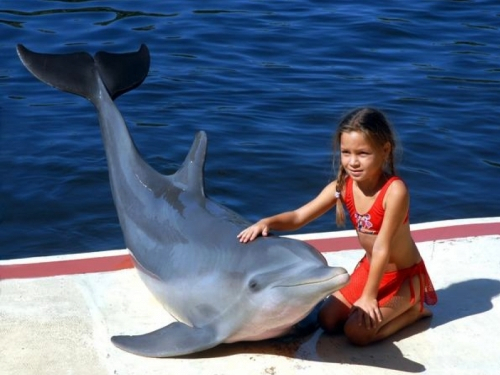 The Dolphinarium is open every day from 9:30 am to 4 pm, except on Wednesday. It has two shows, one at 10 am and another at 2 pm. 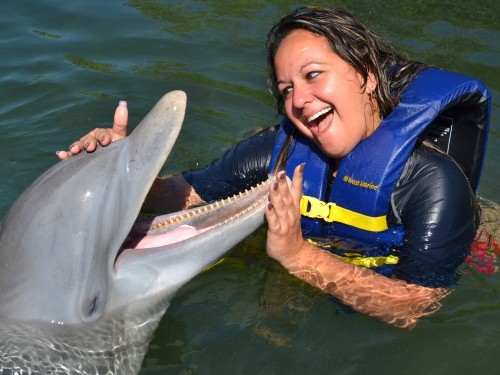 Note: There are regulation that forbid the swimming with dolphins to pregnant and children smaller than 6 years. 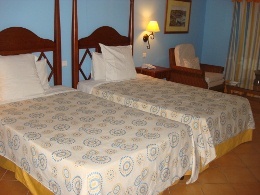 It is advisable to book early especially during the high season when the demand rises. 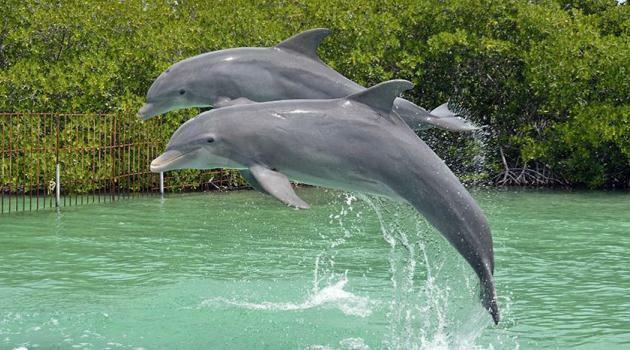 Dolphins must have rest periods in order not to overload them and protect them from stress. Hola. 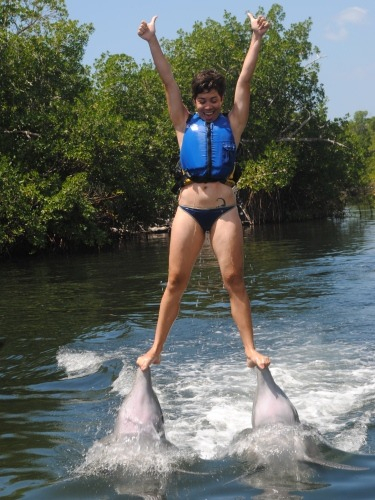 Es posible q un niño de casi 5 años pueda bañarse con delfines??? 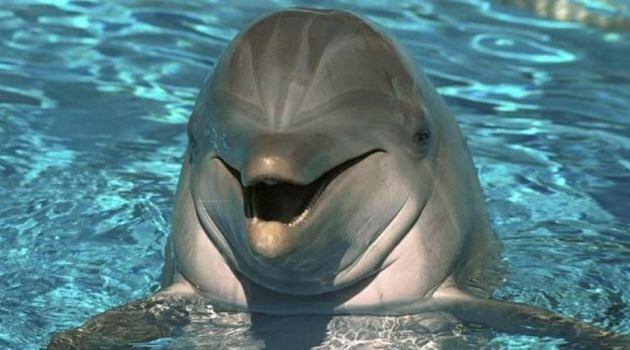 Expérience unique avec des dauphins bien traitée et une équipe très agréable. Le spectacle sors de l’ordinaire avec beaucoup d’humour. Best regards for the unbelievable time spending with you and thank you for your help getting engaged. The Show was very great and you and your team were so kindly. I never will forget this day. 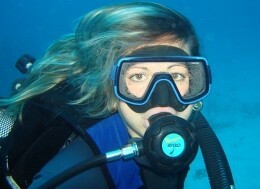 I only can recommend to buy fotos on CD, so you can enjoy the show and the swimming. Estuve el día 2 de septiembre bañándome con los delfines. Fue alucinante. Es una experiencia única que recomiendo a todas las personas. A mi padre también le encanto y juntos disfrutamos de las caricias, los besos y los juegos con los delfines. Gracias Mitchel por el consejo que nos diste. Ha merecido la pena. 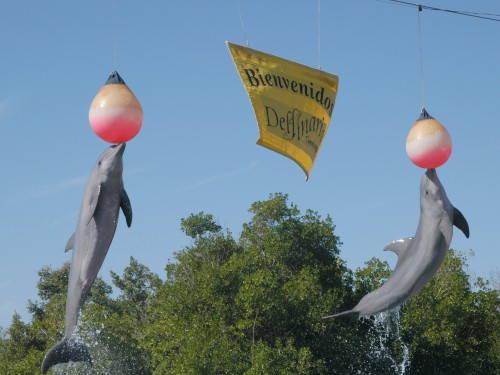 Para solicitar o confirmar reservas en el Delfinario de Cienfuegos por favor utilizar el formulario de reserva que se encuentra anteriormente en esta misma página. 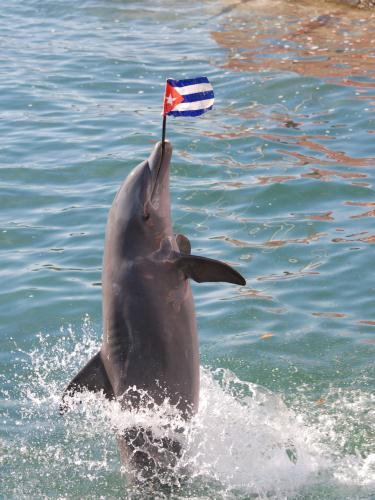 To request or confirm reservations at the Dolphinarium in Cienfuegos please use the booking form that is previously in this same page. I would like to order swimming with the Dolpins on the 15. july 2016 for 5 persons (3 adult and 2 children 11 and 8 years). 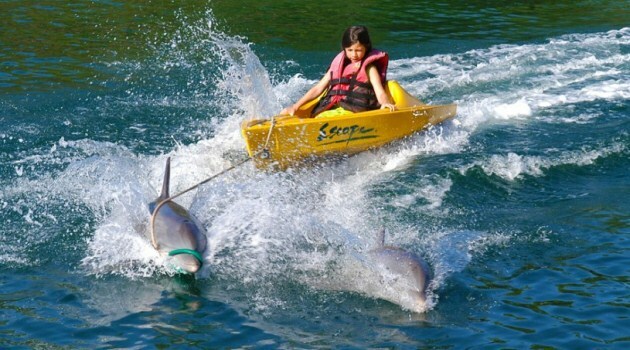 We would like to order swimming with the dolphins for 2 adults + 2 kids. At what time of the day is this possible ? Morning hours ? 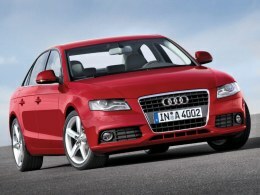 Afternoon ?